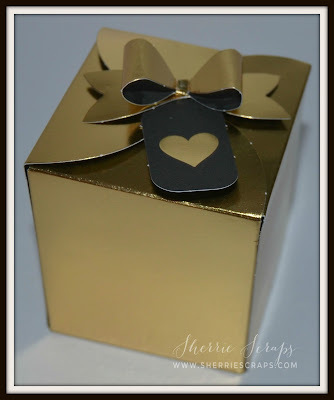 There are tons of really cute little boxes and party favors and come all ready to put together. Perfect for when you are in a pinch and don't have a lot of time...seriously took me 5 minutes! I definitely can see these coming in handy over the holiday season, right? I love the pretty papers ad fun little tags~ Easy peasy! LOVE those boxes! They are so wonderfully quick to assemble. The pillow boxes in this stack fit a giftcard in them perfectly! Great job on both of those boxes! I could definitely see a use for these boxes! very cute! Oh wow, they are so elegant and gorgeous, Sherrie!! They would be perfect for so many uses!! I'm adding a trip to Michaels to my to-do list!! Love these my friend!! 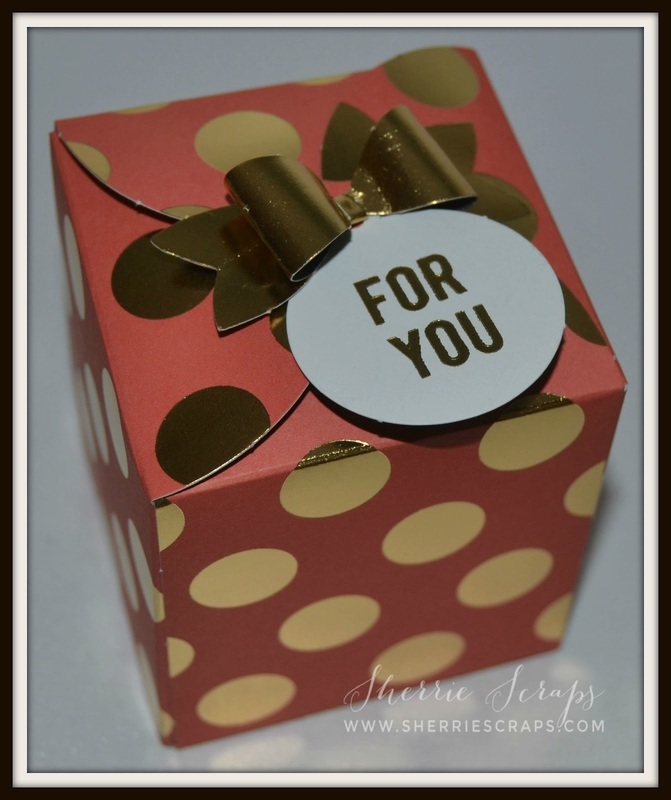 Pretty Gift Boxes Sherrie! LOOOVE the Golf Foil... and the bow... I can see these being used for Birthdays or Christmas time.... Perfect for neighbor gifts for sure! :) Have a great day! WOW what beautiful boxes. Love how shinny. I will have to get me some of these for those times when I need a quick box. Thanks for sharing the info with us all. Those little boxes sure are cute! 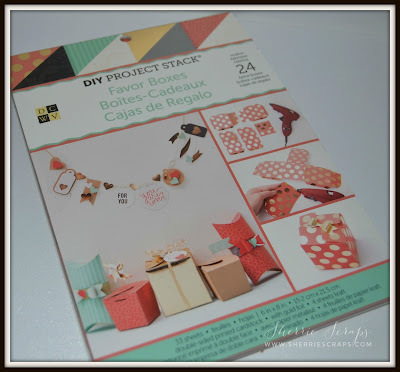 I saw that project stack along with others at several craft stores. It's nice to see the finished boxes. Oh those are really cute and I love the papers!! Love love love these!! GORGEOUS colors and loving the bows!!!!!!!!!!!!!!!!!!!!!! Now those are adorable! LOVE the touches of gold on these, and yes.... how perfect for the upcoming holidays! Gorgeous boxes! I love the pretty papers which makes them look so elegant! You did an amazing job on putting them together! Have a wonderful weekend! I love that stack! 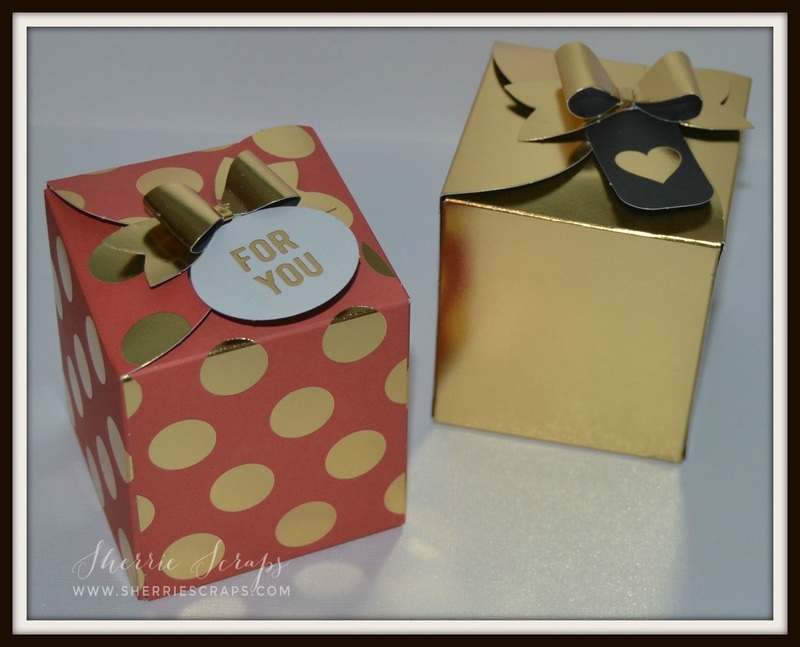 Beautiful treat boxes. I love the pretty tags too! I love these Sherrie, Foil is so in, great job!!! Beautiful :) Thanks for joining in the challenge at Scrapping4Fun and good luck. Wow!! These are amazing!! And how fabulous that they only took 5 minutes to assemble. They sound ideal for the Christmas season! !